Irish director Aisling Walsh talks to Patricia Harty about her latest film. 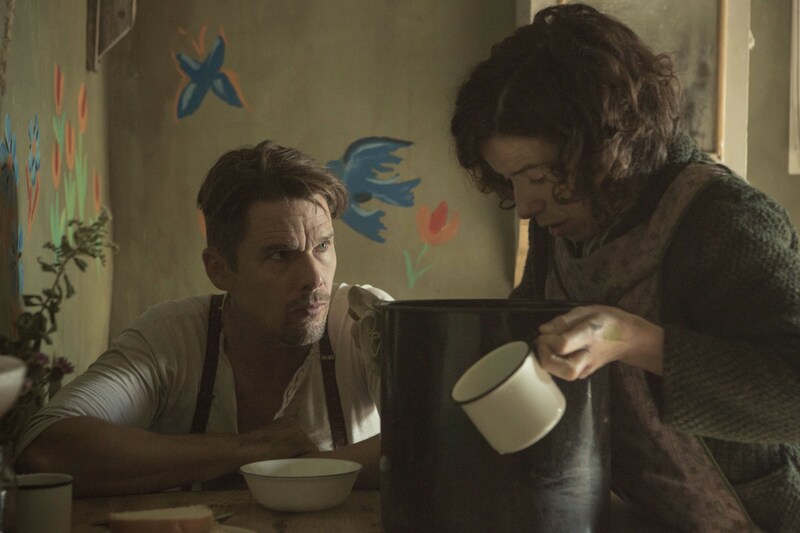 Set in Nova Scotia and filmed in Newfoundland, Maudie is based on the true story of Canadian folk artist Maud Lewis (Sally Hawkins) and the unlikely romance between Maud and a hardened reclusive bachelor, Everett Lewis (Ethan Hawke). Lovingly brought to the screen by Dublin-born filmmaker Aisling Walsh, Maudie premiered at the Toronto International Film Festival last year to a warm reception. It will open in New York and Los Angeles on June 16 and nationwide in July. * Already there is an Oscar-buzz about the performances of Hawkins and Hawke, and perhaps a Best Director statuette for Walsh, who masterfully brings Maudie to the screen. I never met Walsh but I knew her by reputation. Her 2003 Irish drama Song for a Raggy Boy gained her status as one of Ireland’s finest filmmakers, someone who is not afraid to take on difficult subject matter. Raggy Boy, a film about the brutality of life in an Irish reform school for boys, is based on a true story and packs the kind of emotional punch not soon forgotten. Maudie, her latest work, also lingers in the mind long after the movie screen goes dark. Walsh herself says she was “haunted” by Maud after she read Sherry White’s script. I too found myself intrigued by Maud. 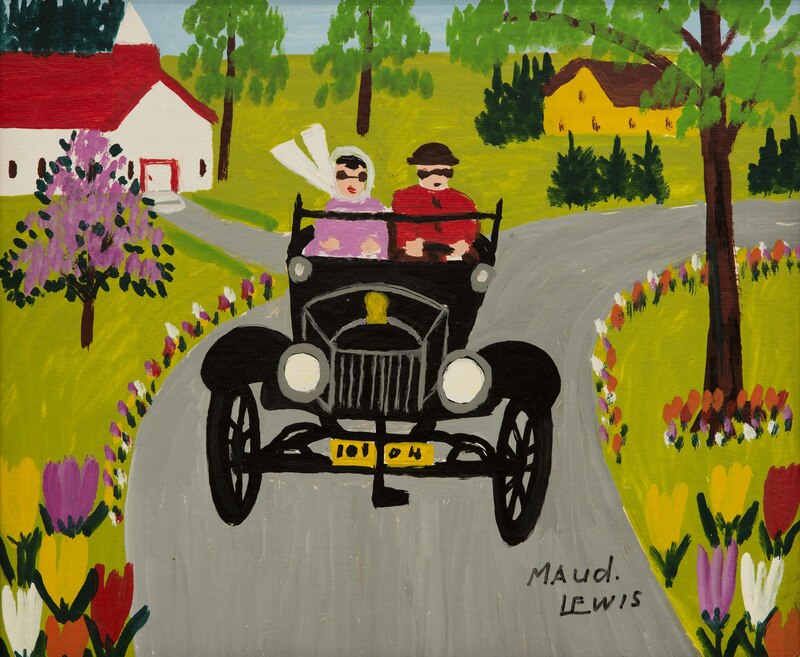 After seeing Walsh’s movie, I spent a lot of time searching online for more information on this “Grandma Moses” artist who quietly faced down many challenges, including birth defects and juvenile rheumatoid arthritis, to pursue her art. As long as Maud, who died in 1970 at the age of 67, had a window and a paintbrush, she was content. Painting was her purpose and her passion, and instead of having us feeling sorry for her, Maudie makes us envy her. 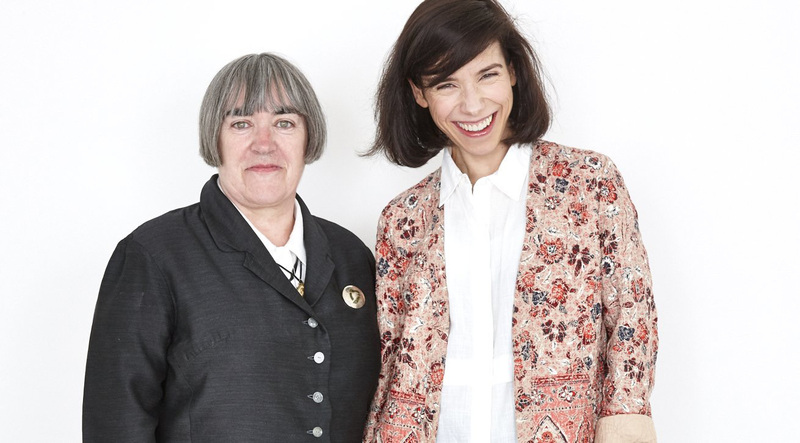 It helps that Sally Hawkins does a masterful job of bringing Maud to life on the big screen. She shows us Maud’s dignity, humor, and smarts, and she lights up the screen with her smile. 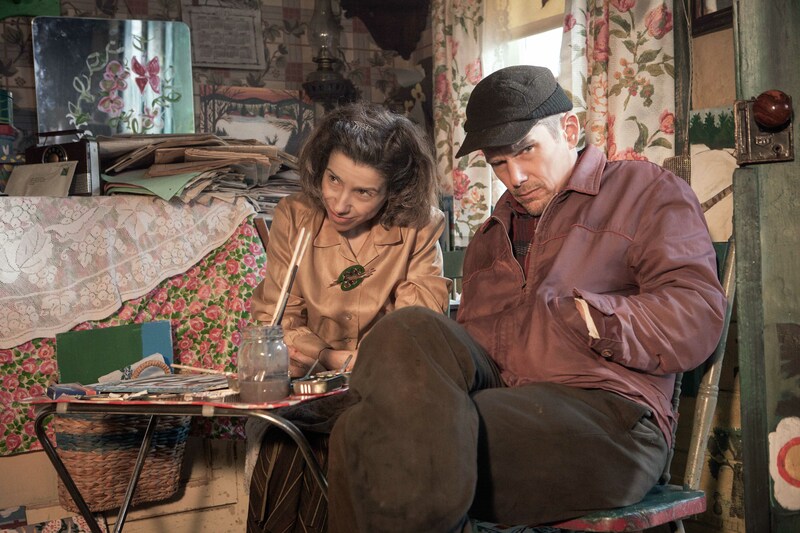 Ethan Hawke’s performance as Everett, Maud’s miserly and curmudgeonly, and mostly silent husband – a man you could easily dismiss – is such that Everett’s true nature is slowly revealed and you end up rooting for him too, and forgiving him his trespasses. The takeaway from this movie is the love between these two loners, and the power of love to transform, and the power of art to console and bring contentment. To put it simply, Maudie is a beautiful movie, one that will stand the test of time. Seeking insights into the process of bringing this film to the screen, I caught up with Walsh by email. What drew you to Maud’s story? Maud’s struggle to be the artist she wanted to be grabbed hold of me. I knew I had to try and make this film when I read the screenplay by Sherry White. It’s the story of an artist and the story of a remarkable woman. It’s also the portrait of a lifelong relationship and a marriage and I loved all of those things about the story. Can you discuss the process? You give equal time to Everett’s character as you did Maud’s. He’s quite abusive at first but then there’s the slow reveal of why he is as he is, and we see a different side of him. And with Maud, you show us how smart she is and her sense of humor. Her physical deformities seem to take second place. A lot of the characters were written and formed in that first screenplay I read. What I like to do then is go on a journey with the story and find things that are interesting to me when I research the story for myself. I try and incorporate these things into the script and into the characters’ stories if I can. I create their world. “Cape Islander” by Maud Lewis. Oil on particle board, undated. Then there is the journey Sally, Ethan, and myself went on developing these characters. We talked. We worked on detail, and nuances. We played with ideas as we went along and things developed. Sometimes on set first thing in the morning we’d have an idea about a scene that took it in a direction that felt right. You have to trust your instinct and the instinct of the actors you are working with. We are the keepers of the story – we are the narrators. No one knows the characters better than we do. No one knows the story better than we do. For me, the moment where Everett hits Maud is so key to the journey his character goes on. From that moment on, things change for him. I wanted an audience to be shocked by that. You can’t imagine that you will have fallen in love with this man by the end of the movie, but you do. That is a hell of a journey for a character. I also wanted us to understand his circumstances – this lone soul – this man living as an outsider in isolation in solitude, unloved. He was an orphan and illiterate. Maud changed his life. She showed him love and he found a way somewhere within him to love her in return. “Model T on Tour” by Maud Lewis. Oil on graphite board, c. 1960s. Maud had a wonderful sense of humor. She was well educated and she was smart. Yes, I wanted her disability to take second place, as that was how it was for her in life. Sally and myself talked about that a lot. People live with their disabilities and pain and get on with life. Both Sally and myself felt it very important that we achieve that. We had a wonderful documentary that CBC made a few years before Maud’s death to draw on and reference again. Sally, Ethan, and myself watched it several times together and apart. It was wonderful for detail and to see how they were together, hear how they spoke, see how they moved, see the details of how they lived in that small house. There is a real essence of both Maud and Everett in the film with small moments and tiny details. Then you have to create from there – to be those characters but have the freedom to fly at the same time. My takeaway from the film is Maud’s need to paint. As long as she could do her art she was content no matter the circumstances. Would you say that’s true? Yes, Maud needed to paint. She found happiness and contentment painting. I also believe she couldn’t live without it. Some of us couldn’t live without books and reading or without music; she couldn’t survive without painting. She painted every day of her life for almost 40 years, which is astonishing. It didn’t matter what the surface was – board, household objects and of course the walls of her small house. The walls of that house are for me her greatest work of art. It is a map of her life over her years there. 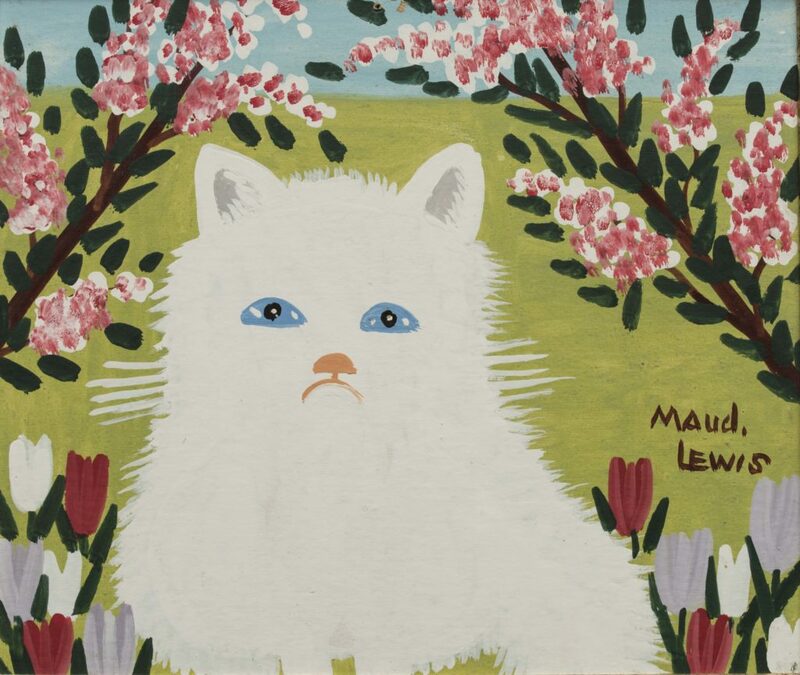 “White Cat” by Maud Lewis. Oil on pulpboard, c. 1960s. ​Did you have Ethan Hawke and Sally Hawkins in mind right from the start or is there an interesting tale to tell on the casting? Ethan came to the film almost a year later. We sent him the script. His wife read it and was so moved by the story that she got Ethan to agree to do it before he read it. (Thank you, Ryan Hawke.) Of course he loved it too and saw Everett as a real challenge to play. An almost silent man – a lone soul. Sometimes the spaces in between words are the most exciting thing to play. I think that’s what excited him. They are both wonderful to work with. This film required both actors to embody the characters totally, and they did that. They are both artists who always want that challenge and want to go to those places. Then its my job to create the atmosphere and space where this can happen. How was it working in Newfoundland? Did you know anything of Newfoundland’s Irish history, or had you been there before? The first time I visited Newfoundland the Atlantic was frozen almost a mile out and it was minus 15. I wanted to run. I didn’t know or couldn’t see how I was going to work there. Then things start to unfold and reveal themselves like some kind of magic. Places that were so remote – so isolated but had a real beauty. I started to learn of the history of the Irish there and started to realize that it is a very unique and special place. I love their stories. I love their music. I fell in love with the people and I fell in love with the landscape. There is something in the soil of Newfoundland that is so connected to Ireland. In many ways it was familiar all along. How long did the project take from beginning to end? The project took 13 years from development to completion. I joined in year 10, so it was a much shorter journey for me than for my producers who had been trying for so long to get this film made. I always feel that the right time comes for a film with the right combination of creative talent – that takes time. In our case it took those 13 years. Can you talk a bit about your own journey to becoming a director? Is that what you set out to be or did your journey in that direction develop over time? National Film School in England. I applied and got in so I spent another three years there making films, working with other students, watching movies, working on my own projects – and I started writing. I was really encouraged to write there, to write my own stories and make the films I wanted to make. It was an amazing place to be. About three years after I left the school I made my first feature film from a script I’d written. Some fantastic people took a chance on me – actually they took a huge risk. A few years of development on another project followed, but it eventually fell apart. At that stage I was desperate to work – to learn – so I persuaded a television producer to take a chance on me on a long-running and very popular cop show. I am forever grateful to him and to that show as it meant ever after I could traverse that often very difficult line between film and television. That’s what I’ve done for almost 30 years now. Irish films have been receiving more attention in recent years. Have you had a lot of support from the Irish Film Board? Where do you see the Irish film industry heading? Yes, Irish films have been receiving a lot of attention in the last few years. The Irish Film Board has been hugely supportive in getting these films made and in encouraging filmmakers to tell their stories. They have always been hugely supportive of filmmakers and together I feel we have come of age. We are recognized around the world for the great films we have made over the last twenty years. Now the industry needs to progress. It is still heavily male orientated director-wise, so we need to support women who want to make films and tell their stories and the Film Board wants to achieve that. But this needs to start earlier in our lives. It needs to start at school. It needs to start like it did for me when I realized – without thinking – that I could be a filmmaker. It never seemed impossible to me. In my mind it was never something I couldn’t achieve. 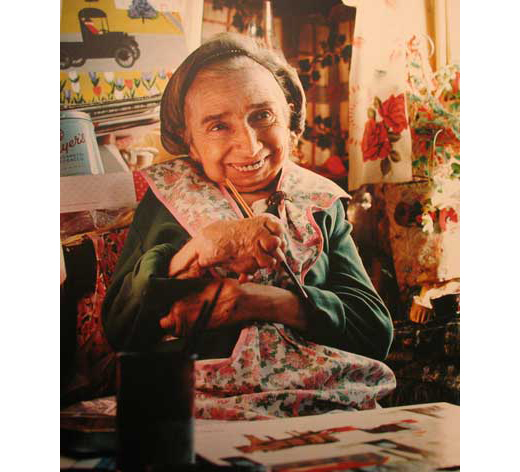 Maud Lewis in real life. Even with her hands gnarled from arthritis she continued to paint. Maud Dowley was born on March 7, 1903, in South Ohio, a community near Yarmouth, Nova Scotia. Born disfigured with sloped shoulders and her chin pressed to her chest, physical deformity may have been her lot but Maud experienced a happy home life in the loving care of her parents, Jack and Agnes Dowley. Her mother taught her to hand-paint Christmas cards that they sold to neighbors, and she also taught her to play the piano, which Maud did, before juvenile rheumatoid arthritis crippled her hands. Maud’s life took a turn for the worse when both her parents died in the late 1930s and her only brother, Charles, sold the family home. An aunt reluctantly took Maud in. Looking to escape the confinement of her aunt’s house, Maud answered an ad in a newspaper. Everett Lewis, a fish-peddler, decided he wanted a housekeeper for his cottage in Marshalltown, and Maud applied for the job. Their relationship got off to a rocky start as Maud was confronted with Everett’s need to control her, but they eventually marry. 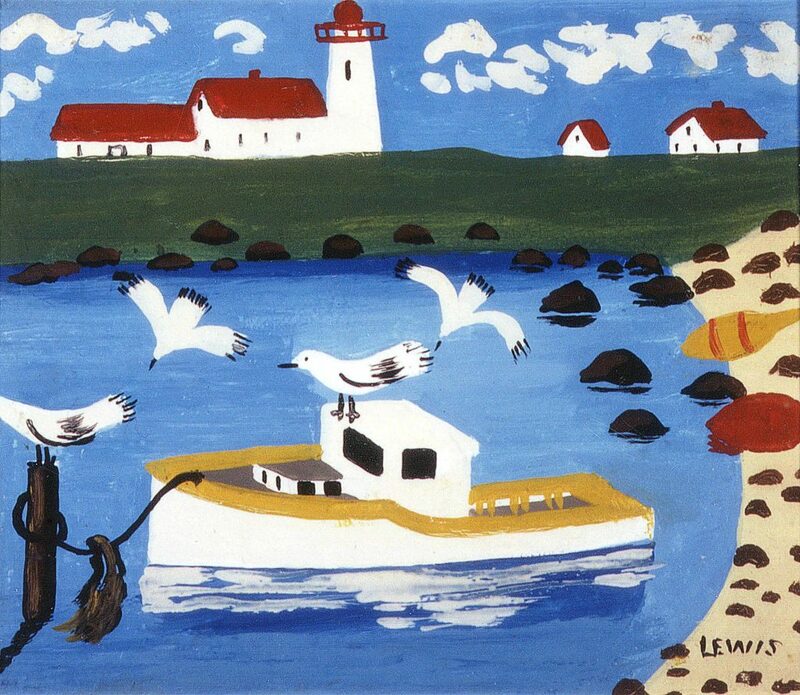 With humor and smarts she turned the tables on him, with Everett ending up doing most of the cooking and cleaning, allowing Maud to spend her time creating her art, which Everett enjoyed peddling, first to neighbors and then to tourists, who would stop by the Lewis home in western Nova Scotia and buy Maud’s paintings for a couple of dollars. Maud received some national attention when a TV crew stoped by to film her and Everett. But even as more orders for her paintings came through, even one from Richard Nixon in the White House, Maud and Everett continued to live in their 10×12 foot house without electricity or running water. As long as Maud had a brush in her hand and a window in front of her, she was content. She died at 67 from pneumonia, having suffered lung damage from exposure to paint fumes and wood smoke and a life-long addiction to Cameo cigarettes. Maudie brings fresh attention to an artist who should be celebrated, not just for her wonderful paintings, but because no matter what the conditions she experienced, Maud never gave up. Maud and Everett’s house is now in an art gallery in Halifax. * An earlier version of this article incorrectly stated that the film is being released nationwide on June 16. Loved, loved, this beautiful story of such a lovely artist. I want to watch it again that is how much I enjoyed Maud’s story. I was born in Canada and live in the states now but the film took me back to summers I spent there. Thank you for sharing a piece of history and autobiography of such a talented woman who never gave up, who loved others with her soft spoken words and smile.